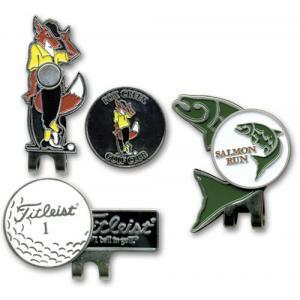 Put your logo on our wide selection of wholesale golf ball markers for your next golf tournament, event, outing or promotion. 4. 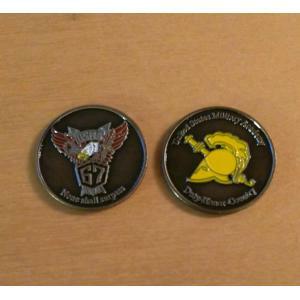 Your golf ball markers will be produced and shipped followed by a tracking number sent by email. The classic solid brass ball markers. Now with color magic logo. Make great gifts for your next golf tournament. .. Custom Logo Cast Golf Ball Marker. 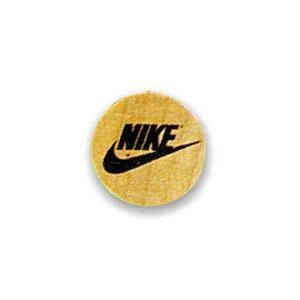 Ball marker may be round or any shape; flat or 3-D. 1-sided may include post at no additional charge. 2-sided may be different front and back. Coins may be modern or ancient design. Perfect for your next golf .. Custom Logo Magnetic Metal Poker Chip with Removable Golf Ball Marker. This solid metal poker chip with magnetic ball marker features a two sided imprint. Back side has a fixed full color domed imprint. The front side has a full color domed imprint on a r.. Custom Logo Crystal Bling Golf Ball Markers. 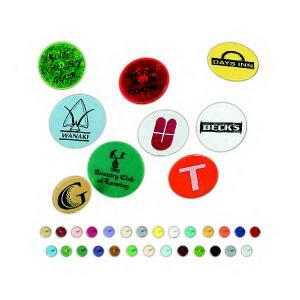 Our bling ball markers customized with your logo are available in clear or colored crystals up to four colors. 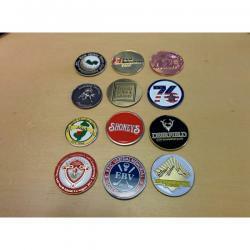 These detailed, magnetic ball markers are available in many shapes and finishes. .. Custom Logo Golf Ball Marker Bottle Opener. 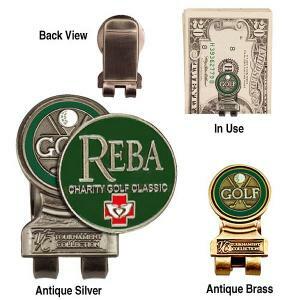 This is the custom ball marker bottle opener in antique brass, antique copper, or pewter finish and poly bag packaging. Air shipping from China included. 1 3/4" Diameter x 3mm Thick. Perfect giveaway on yo.. Custom Logo Putter Stud with Ball Marker. Our satin nickel putter stud fits all standard putter grips. The slide-in 3/4" magnetic ball marker is securely attached and easily removed with thumb pressure. Perfect for your next golf tournament, gi..